SR Education Group, a leading education research publisher founded in 2004, just released new student support rankings on GuideToOnlineSchools.com and OnlineU.org. Five categories of rankings highlight the best and most affordable online colleges based on manually researched tuition rates and support for specific student populations including: LGBTQ students, women in STEM, students with disabilities, Christian students, and students seeking economic mobility. The 2018 Best and Most Affordable Online Colleges for Economic Mobility are based on Mobility Score, calculated using a combination of factors including Mobility Rate from the Equal Opportunity Project, early career salaries, and Pell Grant data. 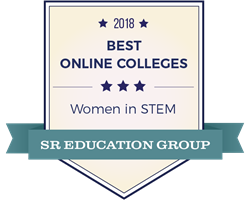 The 2018 Best and Most Affordable Online Colleges for Women in STEM are ranked based on a combination of factors including female representation in the student population, number of online STEM degrees offered, and the extent of online resources and support for female students in STEM fields. SR Education Group also partnered with PowerToFly, an organization committed to connecting skilled professionals with each other and with companies committed to building diverse and inclusive environments. PowerToFly handpicked schools they believe provide exemplary support to female STEM students, considering factors like scholarships, networking, and leadership programs. The 2018 Best and Most Affordable Online Colleges for Students with Disabilities are ranked based on four factors: thoroughness of resources, Universal Design for Learning training, availability of distance learning accommodations, and variety of services provided. The 2018 Best and Most Affordable Online Colleges for LGBTQ Students incorporate data provided by Campus Pride, a nonprofit organization that assists colleges in improving their support and resources for LGBTQ students. The Campus Pride Index rates schools based on a five-star scale that incorporates eight LGBTQ-friendly factors. Schools considered for the LGBTQ-Friendly list have been awarded four or more stars and at least 15 online degree options. The 2018 Best and Most Affordable Online Christian Colleges were ranked based on value and affordability. Academic strength scores and manually researched tuition data were used to determine the best and most affordable options for students seeking an online education from a Christian college. SR Education Group manually researched 968 schools to develop these rankings. Nine schools made three different categories, including University of Houston, University of Central Florida, University of Washington - Seattle, American University, University of Massachusetts - Amherst, Southern Methodist University, University of Colorado Boulder, Rochester Institute of Technology, and Texas Tech University. SR Education Group updates these rankings annually in order to provide prospective students with the most up-to-date information about colleges that are committed to serving specific student populations. Headquartered in Kirkland, WA, SR Education Group was founded in 2004. The company creates authoritative online resources for students seeking an education that best suits their budget and career aspirations, and currently provides over $250,000 in needs-based scholarships to students each year. SR Education Group is passionate about making quality education attainable for everyone and believes that objective information about education, careers, and educational financing should be free and easily accessible. For more information, please visit https://www.sreducationgroup.org/.